Esther Staubli is one of the best female referees at the moment. I got the chance to ask her a few questions for my blog. She shares here experiences about refereeing at big tournaments, like World Cups, European finals and international games. In 2019 she will be refereing at the Women’s World Cup. A great insight into professional refereeing. Interesting to see how much dedication and effort she puts into it. First we go back to 2017, a big year for Esther Staubli. How was 2017 for you as a referee? Esther Staubli: It was an amazing year that I never expected! On Twitter I mentioned that I could ask you a few questions. I – of course – want to know more about the u17 World Cup and a few readers ask something about that too. Bruce Bode asks: What was the most surprising/ unexpected thing about participating at U17WC? Arbitro Internacional asks: What are your experiences at the u17 WC? 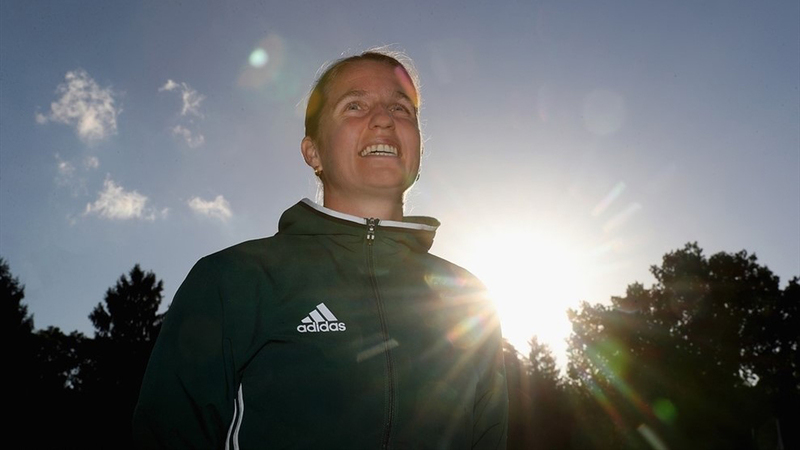 Esther Staubli: It was already a big surprise for me and the other six women to be selected as fouth officials for the u17 World Cup in India. Nothing was planned and I even had to cancel a trip to Sicilia which I had offered my mother for her 70th birthday. You are a fourth official during the tournament in India first. Then you get an appointment for Japan vs New Caledonia. A unique moment in history. How did you hear it and how did you experience the game? Esther Staubli: My role at the tournament was clear. I was a fourth official and my goal was to support my male referee colleagues as much as possible. In the morning after breakfast FIFA always presented the appointments for the next days and it really was a big surprise to hear my name as a referee in this meeting. I tried to take the match just as a normal appointment but of course it was a special moment go onto the pitch to referee this match, also because of the special weather conditions in India. But once the game started I was just a referee in the middle of a football game and nobody really cared if it was a man or a woman officiating. In that game you work with Adam Nunn and Gary Beswick, both assisting Anthony Taylor a lot. They officiated plenty of games together. How is the chemistry in a mixed refereeing team? Esther Staubli: They supported me really great and also Anthony who “lent me” his assistants was very supportive. It was a great chance for me to work with such experienced Assistant Referees who normally do games in premier league. I really liked their positive attitude very much and the spirit in our mixed team was great. The u17 tournament officials are new for you. In the Women’s Euro final you work with Belinda Brem, also from Switzerland, but also with Sanja Rodjak Karšić from Croatia. How is it to work with referees you’ve never worked with before? Esther Staubli: During the preparation for the Euro I invited Sanja to Switzerland for a friendly game and we spent some days together. Furthermore, UEFA appointed our Euro team also for a women’s champions league semi-final in France. For me it was very important to have the games and these days we spent together as a preparation for the Euro. Generally, I like to work with different AR’s and in Europe we have quite a large group of assistants on a really good level. Still it is very important to prepare a big tournament like the Euro carefully. There are so many small details to discuss before to be able to work as best as possible together. How did you experience the Euro 2017 final in The Netherlands? Esther Staubli: It was a fantastic publicity for women’s football as both teams showed a great match in the final. Once the match started it was for me again a game as others and just after the final whistle I really realized it was something very special we just had. Finally, it was also a great pay back for all the hard work we did in the last years and for all the efforts and sacrifices needed in these years to reach this goal in the end. 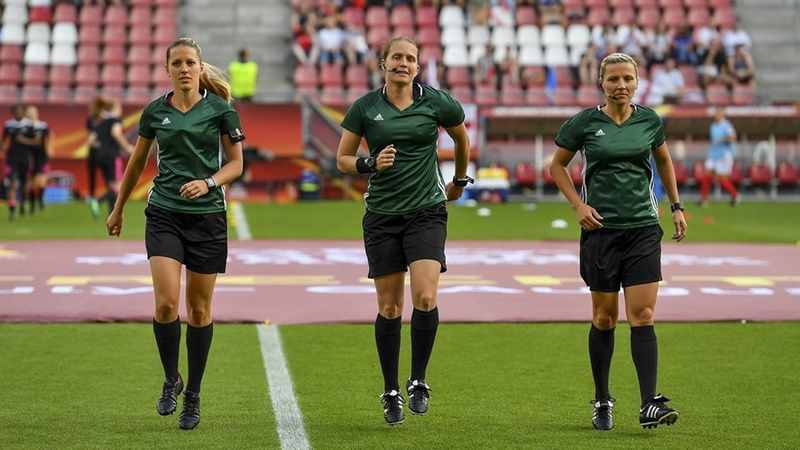 I was of course a fan of the Dutch ladies, but as always keep an eye out for the refereeing team. Great non-offside call at the Danish equaliser in the final. How important is it for a refereeing team to make these big calls correctly? Esther Staubli: There is a lot of training and experience behind such a call. We do our games, we do practical exercises with players, a lot of analyses and discussions to be ready for this important call in a crucial situation. I think that’s what happened here. The correct decision in the final is just the result of the hard work we do before. Back to the start of your career. How did you become a referee? Esther Staubli: I played in the women’s top division in Switzerland, but I knew my technical skills will never bring me to the national team. I was more a physical player. Because I love football so much I looked for something else in football and ended up as a referee. With refereeing I found a great new passion. In a previous interview you say that you are not not proud of the number of yellow and red cards you got during your career. What kind of player were you and how does it help you as a referee? Esther Staubli: I was a fighter on the pitch and I liked physical play. But for me fair play was also always important. Today it helps a lot that I played football. It helps to read the game. and because I was an emotional player I understand some reactions of players better. It makes it easier to find an appropriate way to communicate with players on the pitch. In 2014 you made your debut in the Challenge League, the second level. What are your chances of reaching the Super League in Switzerland? Esther Staubli: At the moment I work 50% as a teacher. My school is very tolerant and supports me very much. I cannot make a living from refereeing and at the moment there is no possibility to become a professional referee in Switzerland. Because we have a quite flexible system at my school I don’t have to teach every week the same number of lessons. I always try not to work one month before a big tournament an on the other hand I teach a lot when there are no games. I also reduce before a seminar or international matches. For example, I spent this winter 3 week in the south part of Europe in training camps. In a normal week I train about 2 hours every day. Each week I have twice a strength session with a personal coach and the rest of the time I try to do different trainings like spinning, speed, high intensity, agility or just playing squash. Furthermore, I have each week one hour of massage and often I go to the sauna after the gym. Also football is not missed during the week. I like to watch Europa League and Champions League games. And to prepare my matches I also watch a lot of women’s games on wyscout. That’s also a great possibility to see national women’s competitions all over the world. Ata Dizdar wants to know: How long do you think it will be before we see a woman referee officiating a major derby or a major European match? What are the challenges for female referees and are they different than the challenges for male referees? Esther Staubli: In my first match in men’s professional football there were two spectators who started discussing after 60 minutes when they realized the referee was a woman (a friend sitting in the tribune told me after the match). So it doesn’t really seem to matter if you are a woman or a man. For me it’s just about performance and not about gender. Of course men are able to sprint faster but if a woman is able to read the game better she can equalize this fact. What are your personal goals for the future? How important is it to set goals and what do you do to reach them? Esther Staubli: It is always important to have goals. Then you know why you are working so hard every day. But we should never lose the passion for refereeing. When the day comes where I don’t feel the passion anymore or when the day comes where I do the perfect match and can’t improve any more, I will immediately stop my career. But at the moment the fire is still burning as much as in the beginning. 2019 there will be the World Cup in France. This is of course my next goal. But you never know. I learned in the past that health is the most important and success always comes from hard work. So I keep working hard and hope to stay healthy. Want to know more about goal-setting? Some great tips for your refereeing career. 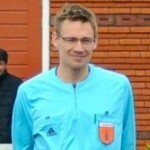 If you must give a young referee (a reader of my blog) three tips, what would you advise him/her and why? Work hard and enjoy refereeing. Then the day will to be rewarded will come. Try to reach Mount Everest and not just any hill. Of course in refereeing Mount Everest may be different for each person. Just find your personal Mount Everest and the view from there will be great. Be happy and enjoy every game you get. Don’t think about or ask for other matches.